With convenient access to Interstates 76 & 476, Route 202, Pennsylvania Turnpike, as well as SEPTA public transportation, Kingswood Apartments & Townhomes is centrally located for exploring the neighborhood. Situated in the heart of King of Prussia, PA, our community offers easy commutes to the area’s best employers, shopping, dining, and entertainment. Take advantage of the short drive to top local companies like Lockheed Martin, GlaxoSmithKline, Cabrini University, and the Upper Merion Area School District. When you're ready to hang up your apron, visit nearby Yard House for the world's largest craft beer selections and savory menu offerings. Or enjoy a meal at one of the awesome restaurants in the King of Prussia Town Center, and catch a flick after dinner at United Artist King of Prussia 16 IMAX. 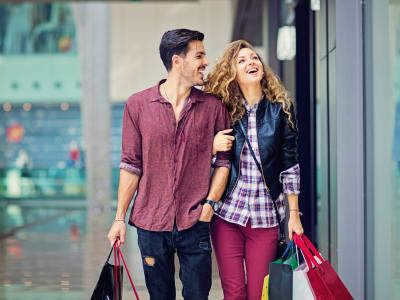 Your new apartment also offers close proximity to King of Prussia Mall, complete with over 400 shops and restaurants for you to enjoy. On the weekends, try your luck at Valley Forge Casino Resort. Your new home is waiting for you at Kingswood Apartments & Townhomes in King of Prussia, PA. Call our professional leasing team today to set up your personalized tour.